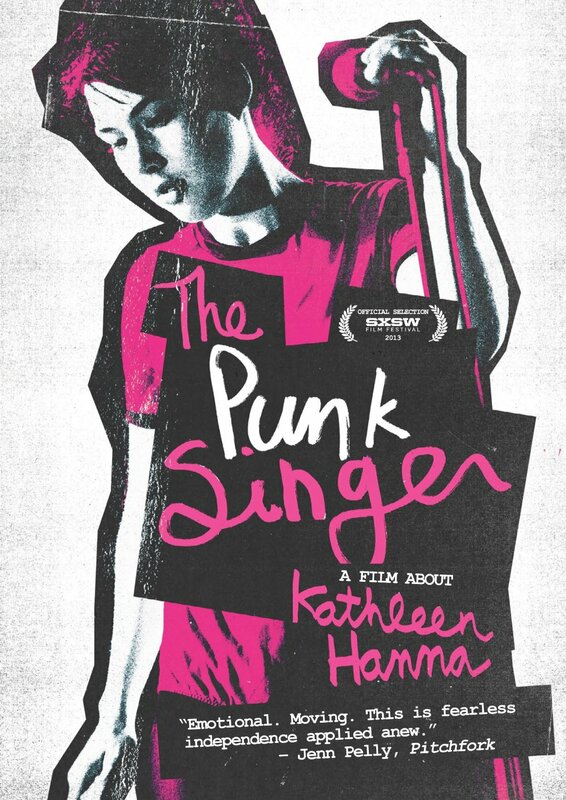 LADY-DIRECTED DECEMBER #4: The Punk Singer (2013) – dir. Sini Anderson | Films Like Dreams, Etc. I’ve been putting off the documentary The Punk Singer ever since I found out it was playing in theaters last year. Now that I’ve finally gotten around to it, I deeply regret not having seen it sooner; if I had, it would have certainly made it very high on my top films of 2013. It also further proves that last year was an exceptionally terrific year for, not only movies in general, but documentaries specifically. This one focuses on Kathleen Hanna, riot grrrl activist and lead singer of bands Bikini Kill and Le Tigre. It’s basically the kind of material that viewers may need to meet halfway in order to fully enjoy. While the material is inevitably fascinating for old school and new school punks, the style is rather ordinary and fits neatly in talking heads documentary convention. With that being said, its bold, heartfelt introspection into the life and achievements of Hanna makes this essential viewing material for any outspoken feminist. Hanna has always been a figure of fascination for me, ever since I discovered the existence of Bikini Kill back in middle school. At that point, I had barely begun to discover punk music and was absolutely floored by the sheer magnetism of her distinct, shrill, angry vocals. She (along with Courtney Love in Hole) offered to me a brand new example of how women should present themselves as a leader of a band. In examining Bikini Kill’s importance in the 90s riot grrrl scene, The Punk Singer cleverly implements archival footage of concerts during the band’s heyday. While most of the story is told through the interviewees describing Hanna’s influence, actually seeing these images of this woman shunning any and all implications of how she should behave sends out a very strong message. Her sheer importance to this corresponding culture is undoubtedly important. Moreover, The Punk Singer itself maintains a pleasantly female-centric focus – and rightfully so, given the nature of its content. The commentary sees eye-to-eye with Hanna’s fight to make the punk scene a safer space for women, literally declaring, “Girls to the front!” during Bikini Kill’s frantic shows. Moreover, most (if not all) of the interviewees are women which make their praises all the more imperative, given that this emphasizes the wide spread of Hanna’s influence on female fans, which is a huge facet of riot grrrl. It’s exactly the thing that is expected from a talking heads doc based on the career of an individual, and frankly it rarely deviates from this formula. However, The Punk Singer is definitely one that would definitely stand as something special for those with even the slightest interest in its source material. Indeed, Hanna isn’t and never was a perfect feminist role model, given that much of the riot grrrl movement tended to focus on young cis white women rather than handling a more intersectional approach to liberation. With that being said, the latter third of The Punk Singer offers an opportunity to see Hanna, not as an unattainable icon, but as a genuine human being with her own painful, personal struggles. It does a great job at covering her consistent grapplings with Lyme disease, also working to raise awareness of the illness. Witnessing such an inspirational figure battling these all-too-human demons aids the film in deviating from similar documentaries, which often elevate their subjects into larger-than-life personalities and leave it as such. It’s saddening to watch such a strong, influential woman struggle with a disease beyond her control, but also inexplicably inspiring given all that she’s accomplished throughout her career. In this sense, The Punk Singer does a marvelous job at bringing itself down to ground level and sending the message to girls and women that they themselves can fight their own conservative monsters in their own means, using their own personal methods and talents. After watching this documentary, I really want to sit down and chat with Kathleen Hanna for several hours on a variety of topics. Because of The Punk Singer, I not only look up to her but also feel like I know her personally, as I’m sure many others do and have for the past two-and-a-half decades of her influence. This entry was posted in Lady-Directed December, Reviews and tagged 2010's, documentary, Lady-Directed December, Sini Anderson, The Punk Singer. Bookmark the permalink. I didn’t know much about Hanna’s recent history and struggles, so that section was touching and fascinating. I’m the right age to know about Bikini Kill (late 30s), and I did listen to them fairly often in college when I worked at the radio station there. Even so, I wouldn’t call myself an expert. This movie inspired me to read Girls to the Front by Sara March and learn a lot more about the riot grrrl movement. You’re right to point out that it was limited yet still made quite an impact.